*Before you buy a High Back Console always measure your pet & compare its dimensions to our interior dimensions. Always measure your console's dimensions and compare to our exterior dimensions as well. Since all vehicle consoles vary, the size you order will need to reflect the size of the space available in your vehicle as well as the size of your pet... SO, always measure for both factors on Console Lookouts before you make your purchase. *Before you buy a Console Lookout always measure your pet & compare its dimensions to our Console Lookouts' interior dimensions, always measure your console's dimensions and compare to our Console Lookout exterior dimensions: What we call the Large Console may not fit all types of SUV consoles. Some SUVs may need the Small Console. Since all vehicle consoles vary, the size you order will need to reflect the size of the space available in your vehicle as well as the size of your pet... SO, always measure for both factors on Console Lookouts before you make your purchase. Small: 15" L x 9" W x 7" H - up to 7 lbs. Large: 19" L x 12" W x 7" H -up to 12 lbs. *Before you buy a Console Dog Car Seat always measure your dog and compare its dimensions to our interior dimensions. Compare the interior dimensions of your car console to our exterior dimensions as well. 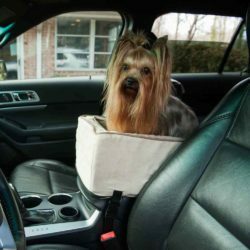 The size you order will need to reflect the size of the space available in your vehicle as well as the size of your dog. Be sure to always measure for both factors before you make your purchase. 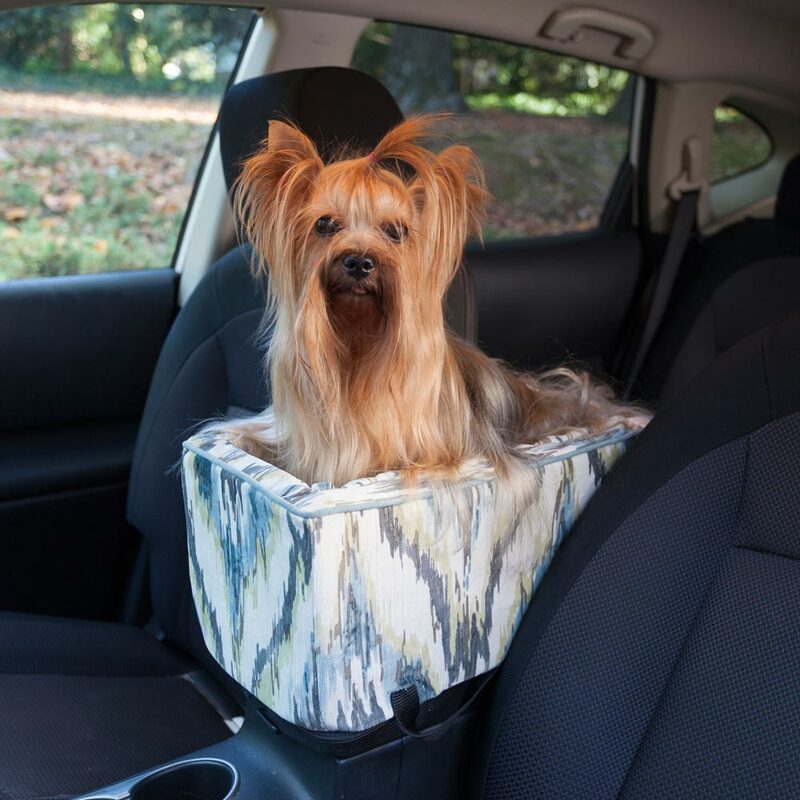 A patented design, the Luxury Console Dog Lookout Car Seat is available in luxury microfiber with accenting cord. It also has a firm yet comfortable foam form. Comes with safety strap to secure your dog or pet. 1 Year Limited Warranty.